Our next task on the list of things to buy/do was our a/c unit and finding a good quality elastomeric reflective roof paint. With only a few different brands to choose from for a/c unit we focused on one main brand. And mainly because it was the brand we have seen on so many other RVs + somewhat the only brand we have seen on almost any website. That brand just happened to be Dometic. We have no clue what the original unit brand was. Our original unit was shattered and not even sure if it worked or not. And we honestly wanted to start fresh. After many hours of scouring reviews and reading opinions Zach finally decided on a certain one. The Dometic Penguin II with Heat Pump. I know Zach had his eyes set on the Penguin the moment he saw it. Zach ooohed and ahhhed at how sleek it was and how it didn’t stand up to high like all the others. I personally could have cared less whether it was tall or not. As long as it does its job- that’s what matters the most. Zach cares about details like this. Sometimes too much. But I trusted his judgment that he knew this unit would work for our needs. At 13,500 BTU we think it is plenty enough for our Airstream. And not to mention, it has a heat pump. 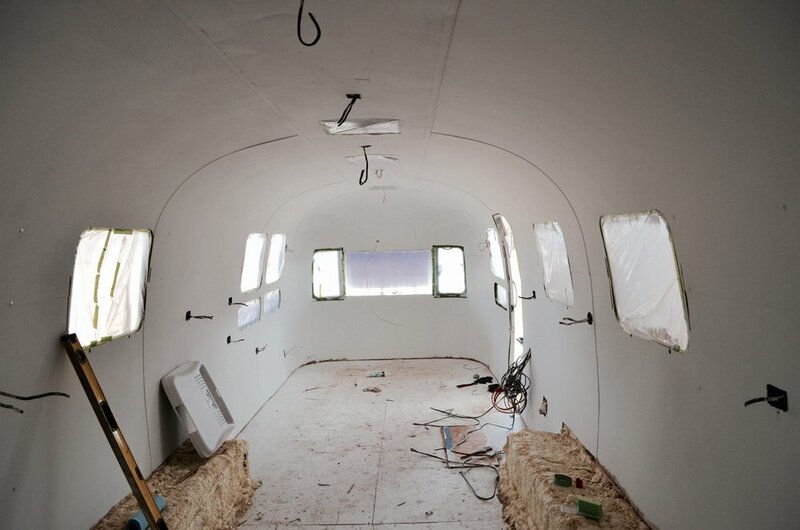 Side note: This unit definitely works great, but for our long Airstream we really could use another. The back where our bedroom is located stays cold all day. The front on the other hand is rather toasty! The Penguin, like the other models from Dometic, come in 2 colors. White and Black. Because we chose smoke gray Fan-tastic vents Zach wanted the black unit. He thinks the white would draw too much attention and not look as great. Well, he didn’t get his wish. We bought the white unit, and got a good deal on it also. The unit and ceiling unit arrived in perfect condition. 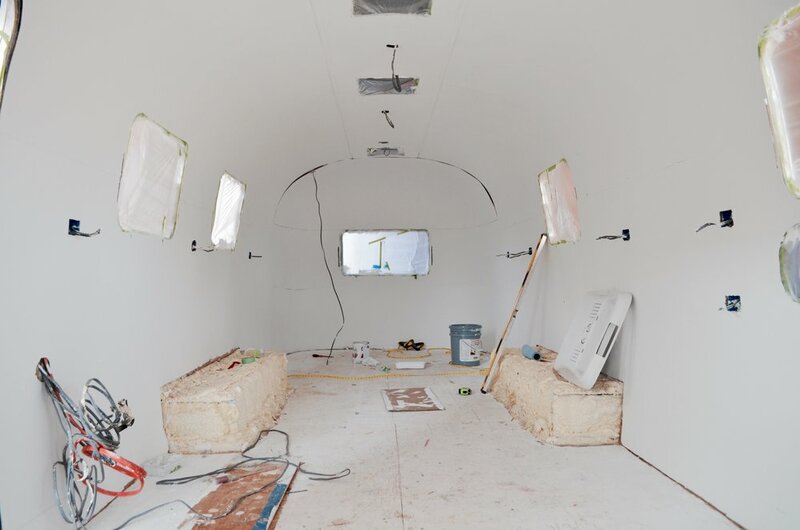 Once the unit was hoisted onto the Airstream and Zach sent a picture, I still think the white doesn’t look bad at all. He still thinks otherwise.. But enough of the unit. Because that is not the only other important task that needed to be done on the roof- besides the vents that we mentioned in an earlier post. 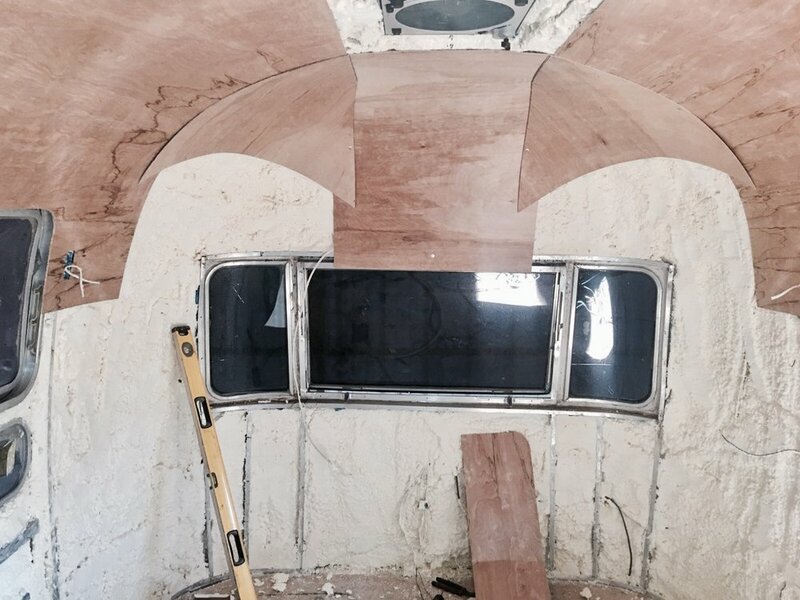 We read on @airforums where plenty of other streamers were applying an elastomeric reflective roof coating to help insulate and cool off their tin cans. I can only imagine having an Airstream out in the desert with the aluminum basking in the sun.. But hopefully we can help to cool ours down. Before Zach would apply the insulated paint he chose to use an aluminum primer to prep the roof for paint. He used Rust-oleum aluminum primer. It etched the surface very well and we were pleased with the product. It took only 1 quart to cover the roof. And next came the insulated coating. We chose to go with KOOL SEAL roof coating. The fibered aluminum roof coating is the exact coating we used. It is silver in color when applied. Having read on the forums where other coatings have helped drop the inside temps close to 15 degrees and some even more, we can’t wait to see how KOOL SEAL helps our tin can. KOOL SEAL recommends applying 2 coats, and that’s exactly what we planned to do. Only 1 coat is on at the moment, because its wayyy too hot outside to add another coat. 3 gallons is what we had but we didn’t use all 3. The first coat used about a half gallon. 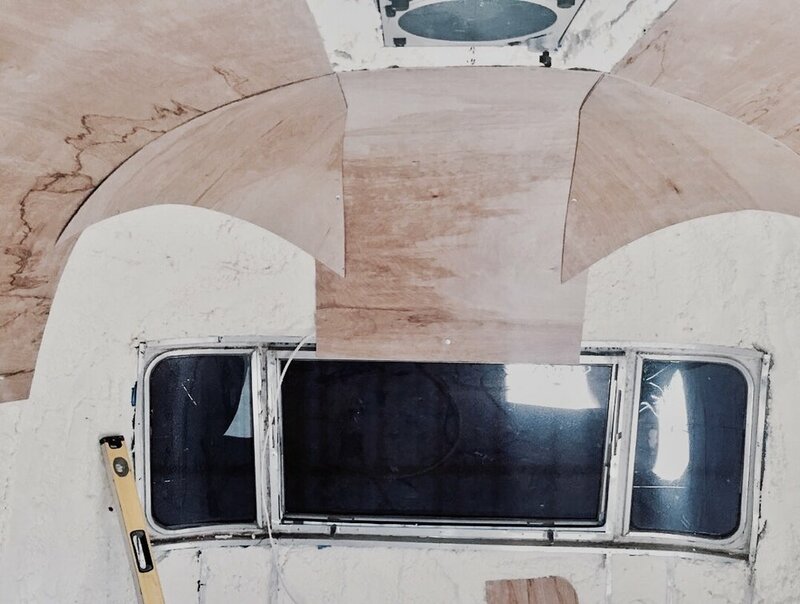 Zach masked off the center roof panel, where the sides and roof meet. Thus, once painted the roof panel will barely be seen. So naturally whatever color you choose, white or silver, nobody will tell. And if/when we add our solar panels that will help to hide the silver, which doesn’t look bad at all. We wish we had actual temperature reading and usage opinions to recommend this product. But only time will tell… After applying Zach read where the fibered roof coating has less reflectivity than white elastomeric roof coating. He has no clue if that depends on brands or not. But fibered aluminum roof coating is what we had so we chose it. Have you applied a roof coating? If so, which did you choose? And can you tell a difference?? If you want to talk about a time-consuming job, lets talk about windows. Lets talk about rusted, tight, welded screws, which hold the plexiglass in its place. Lets talk about the gunky, dried up gaskets that took forever to peel, pry, push, and scrape off. Enough of the venting about the chore of the windows. Lets talk about the process. I (Zach), was naturally chosen to tackle the chore of removing and replacing seals on the windows. Which didn’t seem all that bad.. Until I started on the first one. Colleen had seen where one couple used Goo Gone and razor blades to get their seals off. I started using the same method along with a metal putty knife. And I’m glad I got the metal knife. Because in my opinion, that helped give me more leverage to push and scrape than a razor blade would have. The Goo Gone worked decent. I also used Goof Off at the same time. I learned that letting the Goo Gone sit for about 10-15 minutes did wonders. Who knew reading the instructions from the bottle would lead to great wisdom.. But still, I was searching for something else that would do the trick easier. After posting a pic on Instagram, Colleen was told to try a number of crazy things. Brake cleaner. MEK(methyl ethyl ketone). And the most surprising one- gasoline. This seemed very odd, but yet had my attention. Continuing on with the ever fun project I finally decided to try gasoline. I found an old empty spray bottle (Tilex) and poured some into it. Sure I was feeling a tad loopy from all the chemicals I had floating around me, but I was desperate to try anything. And at this point gasoline and a lighter didn’t sound half bad. I now knew why someone mentioned gasoline. Because while doing this task you would have gotten so fed up with the windows you wouldn’t mind setting fire to them all… Well maybe not exactly because they are a pretty penny to replace. But it felt like the window seal restoration project was never going to end. So I just kept on chugging along. Spraying Goo Gone and then Gasoline. Spraying Goo Gone and then Gasoline. Letting sit for about 10 minutes each time. Some windows were easier than the other. And some had an excess amount of glue. After saying this, I can say Goo Gone and gasoline did help in taking off the glue and old seals. But the best thing you can have is patience. And maybe good elbow grease and a metal scraping putty knife. Our plexiglass in our windows were tinted… And after many years the tint had faded to purple and needed to be thrown in the trash. I figured we would just replace with new plexiglass and tint. But Colleen had other plans. Just ditch the plexiglass all together. I am still unsure about this as we have 2 little heathen boys. I pray nothing gets thrown or a fight doesn’t ensue near a window. That would be a terrible day. Some time was spent taking the plexiglass out- mainly because the screws holding the frame around the plexiglass were rusted tight or had been stripped. Just another wonderful job that I was given.. A little WD-40 and surely that would have them. But I was wrong on a few. It took about 3 rounds of WD-40 to get some more out. Others still wouldn’t budge. My next thought was to go buy a screw extractor bit. I have seen these things used in person and they work extremely well. After removing the first 2 screws I had only like 7 to go. But that’s when my luck ended. The bits would no longer drill into the screws nor would they grab to extract the screw. So if you’re wondering what my next idea is, it might possibly involve gasoline and a lighter. Or maybe a chisel and a hammer. Because I was out of options at this point. The chisel and hammer were chosen as the last result to remove the last 2 remaining screws. We knew going into it that this method had consequences. HUGE consequences. COSTLY consequences. And the worst could have happened. While almost getting one screw head off I heard cracking.. Not a good sound when working on windows. That sound meant we would need to find a new window. We knew these windows were expensive. 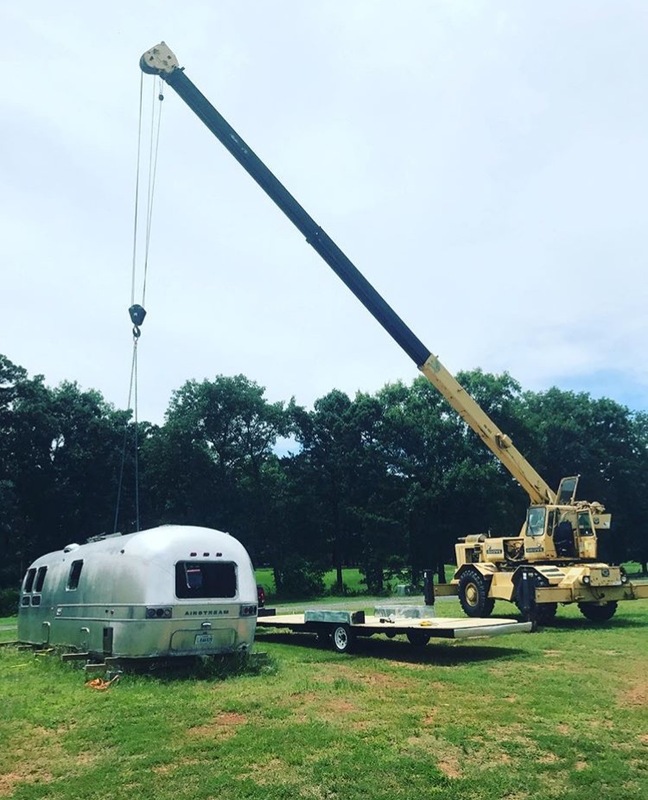 So immediately I began searching on my usual go-to Airstream websites- odmrv.com (Out-of-Doors Mart), vintagetrailersupply.com and airstreamsupply.com. I even emailed an RV salvage yard and called a few RV glass websites. No luck.. Then as a last resort I turned to eBay for a look. Luckily there was a few on eBay. The websites I mentioned above did not have windows in stock and they were more than we paid for our eBay window. Of course this window was used, but it looks just as good if not better as our originals. And it also came with the frame that rivets to the shell. So it was definitely a win. But the seal and plexiglass removal was not all that needed to be removed. The original safety film on our glass was peeling and needed some tending to. So I had to scrape this off on each window with a razor blade. That was pretty tough on the hands and fingers and joints. Installing the new security film was not hard at all. I have done some window tinting before so this helped. This task is not for an expert at all. Beginners can easily install. The film we ordered came with detailed instructions, a razor cutter, and a squeegee. All I had to find was a squirt bottle and some soap. Not the same squirt bottle with the Tilex lol. The only advice I will give for installing is to cut the film at the exact length you need. The instructions say leave 1 inch around. This was difficult for the first window because of the curves in the corners and the frame around the window. And if you want to make sure you don't cut too short just leave an 1/8" gap all the way around. After installing the new film I feel very happy we chose to do this and to not worry about it. In no time I had all 6 side windows re-filmed. I hope you have better luck than I had at the windows. If you are reading this and want to stop your project all together because of some silly windows- DON’T. Because a little hard work is good for the soul. So think about those nights out glamping in a remote desert or a mountain range and how you wanted to give up but didn’t give in. Then you will be happy with yourself. I'm sure I will be happy also. To start let me say that I am super blessed to have a husband who is so handy + up for anything I throw at him. Number two im blessed because God gave me a father + father-in-law who have so much knowledge + are hard workers. Zach's dad came into town bringing goodies for us to start on the inside of the airstream. I worked them hard + only gave me 45 minute lunch breaks. I joked about docking pay + giving overtime to the harder workers. It was a lot of fun. I never like to think about loved ones growing old + dying; but I know that in the future this will be a fun memory to look back on + remember the good times working together. 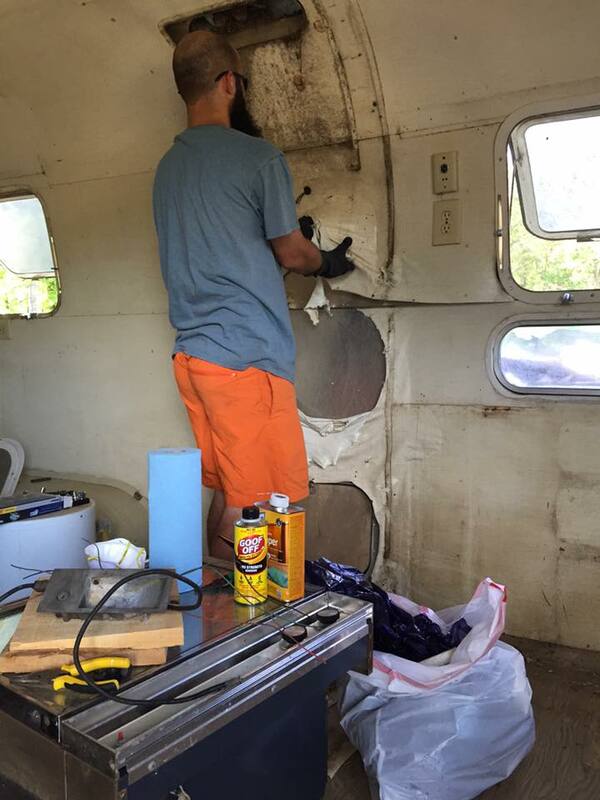 On Friday Zach started to remove the vents on top of the airstream to replace them with brand new vents. 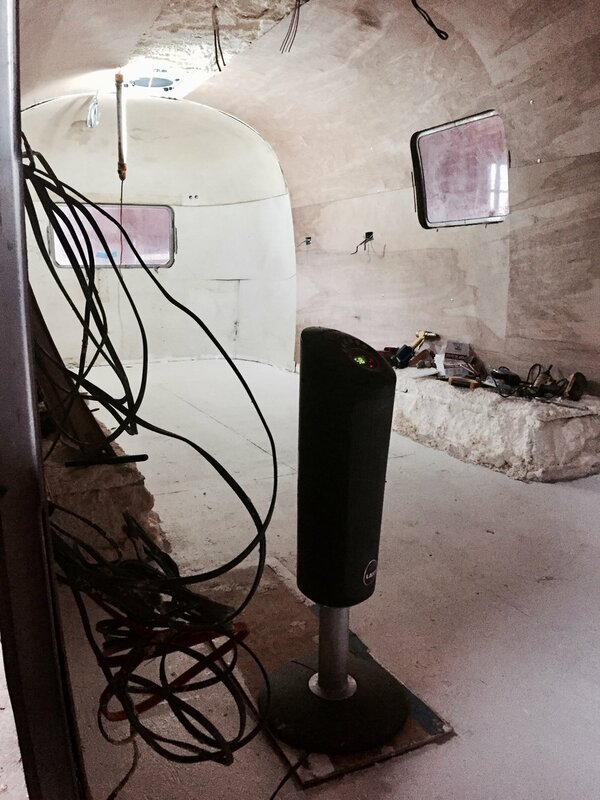 We have 3 vents in our airstream-one above the bed/dining, one in the middleish(kitchen), + one in the bathroom. We decided to splurge and get the rain sensor ones for in the main living area + bed area. We kept it simple in the bathroom. What we’ve noticed so far in this project is everything is gave + take. We write down everything we really want and then make a list to see what is more important. We are all about saving money where we can. I have kept a running spreadsheet of everything we’ve spent + what’s our total. I plan to share this at the end of this project. The vents were not the easiest items to tackle. Years of ‘concreted’ sealant were holding the original vents in place. Zach started by drilling out each rivet head. But quickly he realized that wasn’t the quickest way. And definitely not the best way to release some stress. He then decided to take a flathead screwdriver + a hammer + bust the rivet heads off, one by one. In doing this it sped up the process. He didn’t have to worry about scratching the old vents because they were trashed anyways. Then Sunday came the fun part. Luckily my father-in-law had extra spray foam lying around so he brought it for us to use as insulation. We used this to insulate in the tiny house + we are definite fans. Not only does it do well insulating, but it also makes the shell very strong! We used two kits of the foam + boy am I thankful he had it because that saved us $$$$! They may have gone a little over-board with the foam + making sure that they got every nook and cranny. There were only 4 contractor trash bags full of scraped-off foam. We all agreed we’d rather have too much and have to shave some off then not have enough….But boy did they get a workout shaving all the extra foam off. Be sure to buy a respirator, coveralls, gloves, and goggles if you decide to go the spray foam route. Zach wishes he would have had these DeWalt anti-fog goggles. His goggles kept fogging every second because of the heat the foam gives off while curing. And luckily he didn't have any nice clothes on because we did not realize the foam kit did not come with coveralls. 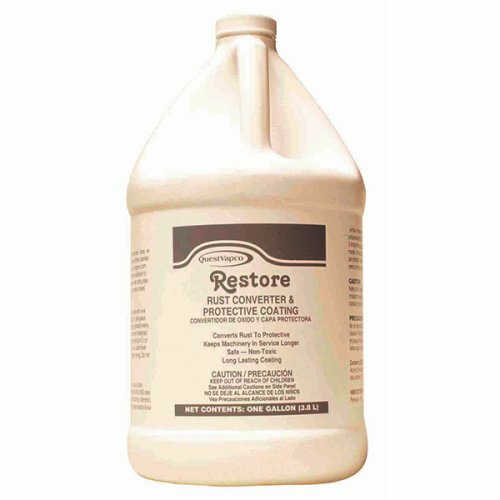 These are definitely essentials to the spray foam insulation route. The guys worked their butts off. I came to be there supervisor + got my hands dirty for 30 minutes while Harvey took a nap on me. Somehow he slept through me shoveling the insulation that fell on the ground + sweeping up everything they were shaving off. We had a successful weekend + we are very thankful for the extra help for Zach! It’s amazing how fast things go when three people are working versus one! We also purchased new LED clearance lights- amber + red. Along with LED bulbs for taillights/reverse, scare/flood, license, and above door. New taillight lenses were purchased from https://www.vintagetrailersupply.com. 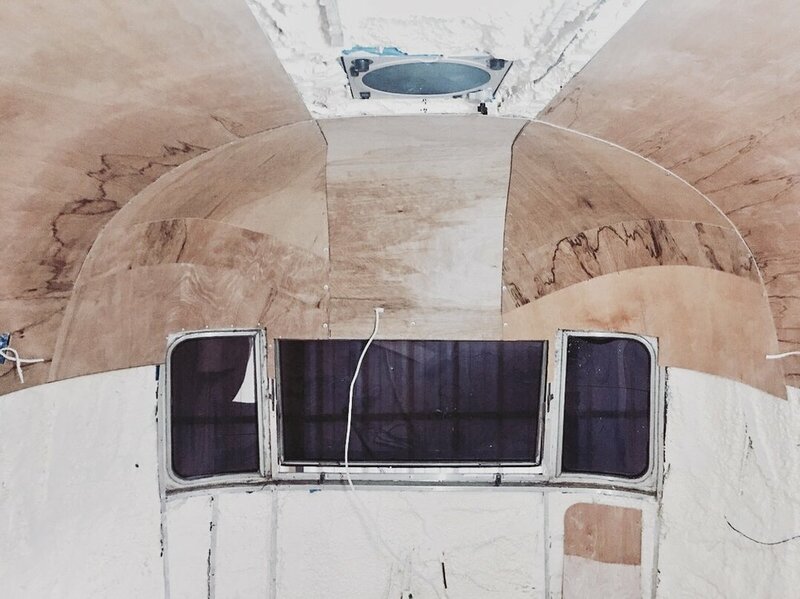 On April 26, 2016 we purchased a 1972 Airstream International Sovereign. My husband looked online for months obsessing over them + when we finally found one we agreed on. He jumped at the opportunity to go buy it the next morning. We bought it from a guy in Mississippi who had it for about a year. He had hopes of renovating it during his retirement and living in it with his wife while they built their dream home on a river in north Arkansas. His wife didn’t like those plans, so we were the lucky ones to take it off his hands! Zach + my dad drove it back to Arkansas with no problems. Only thing that was missing after the 280 mile drive were 2 old Chevy hubcaps(seen in the picture above). The guy had mentioned he just had the bearings packed on the axles after he drove it home. The reason he did that was because when he got home he realized he was missing a tire and rim. Right away we started the gutting process while the Airstream was parked in our backyard. My husband dove into reading airforums.com to try and figure out what to do next. It was overwhelming, honestly. There were many forums + so many opinions. But if you have time to scroll, this is an excellent source to gain knowledge and read mistakes from others. It took about 3 days to gut + we were feeling good about the process. But, Zach does say that he wishes he would have taken pictures and kept some things here and there along the process. But most importantly, he says take LOTS of pictures. At first glance our frame seemed sturdy. Zach even stood on the bumper and jumped up and down and everything seemed great. We kept going back + forth with how extensive we wanted this reno to go. I wanted new everything (new frame, subfloor, electrical, belly pan, etc). My husband wanted all this, but knew he would be the one doing all the physical work. Once I finally got my way more demo started to happen. In the long run he was very thankful we decided to redo everything. When he removed the subfloor + shell, our rear end fell to the ground. Apparently there was a leak in the bathroom and everything seemed together, but the shell was the only thing holding it all together. Thankfully Zach is a welder so he was able to weld and fabricate braces to make it secure and make new outriggers. Our outriggers were toast! He also swapped out our original and basically non-working coupler for a new, welded on Bulldog Collar-Lok coupler. While we were at it we decided to splurge + get new axles. Zach chose Dexter Torflex axles that we bought locally, but the vendor has stores in many different places and online at www.nueratrailerparts.com. He chose to buy axles with a 22.5 degree down angle so it would give the Airstream more ground clearance for those pesky parking lot curbs/drop-offs and when/if we go boondocking down some uncharted roads. 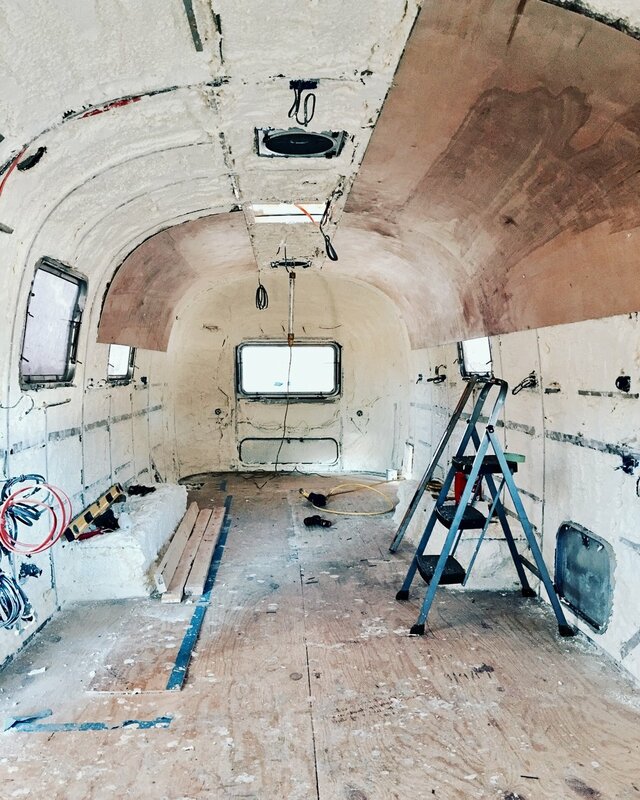 Once he finished the framework + new subfloor he installed the insulation under the floor. Between the old subfloor + belly pan there was pink fiberglass insulation. We had such a hard time deciding what we wanted to do. We decided to go with 1" foam boards and drill it to the backside of the subfloor with wood screws and fenders washers. For our trailer we only used 4 total boards. Next, it was time for the shell to reunite with the frame. Since my dad had a crane(which we used to lift the shell in the beginning) we used the crane again to lift the shell once more. 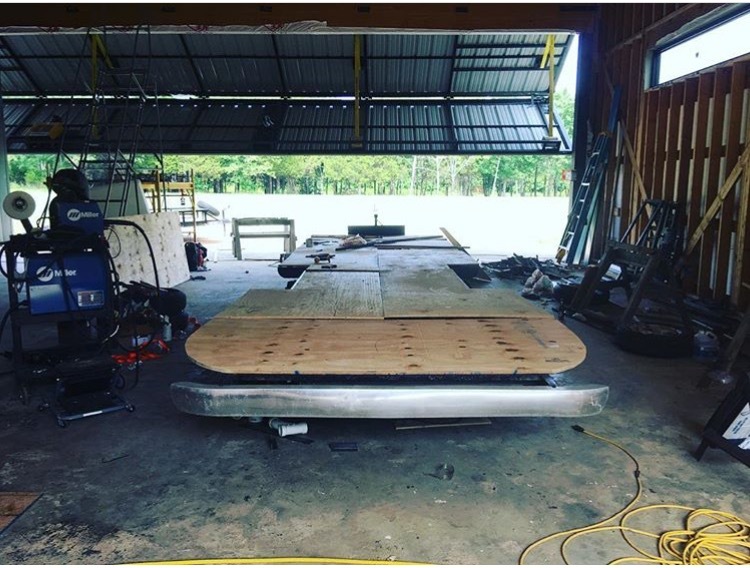 And once shell, axles, and subfloor were in their desired locations Zach installed a new belly pan. We bought the aluminum from www.airpartsinc.com. Very reasonable and was at our door in under 4 days. And very friendly and helpful people to work with. With a new belly pan the next order of action was to install the new stabilizing jacks. We had all 4 original jacks attached to the Airstream, but one obviously was left down from the previous owner and was no longer serviceable. So Zach took to the interweb to find us new ones. And that he did. At a much cheaper price than the original jacks. These jacks are from the same brand as original, only difference is the crank handle does not extend out to the side like the originals. The crank handle on these hides further in. But there's pros and cons to everything, and with these we will gladly take that little con. The 24" jacks were a perfect fit with a quick cut-off of roughly 6 inches Zach thinks from the slide-in supports. And they look great too once in place. Make sure to click the 24" jacks from the same buyer. --If we had to do it over…We would more than likely build a gantry system for the shell. AND before we decided to put the shell back on we’d flip the frame over + add the new belly pan. It was a pain in the B-U-T-T for Zach to complete the new belly pan once the shell was on. Lots of charlie horses and uncomfortable positions to hold the sheets in place. Help yourself and buy some Clecos from airpartsinc.com when you buy your new aluminum belly pan. Having a pneumatic air riveter helped TONS! Zach's hands were worn out enough. So buying this thing of beauty was a no brainer- and a smart decision. This is our buck-rivet gun kit that was used to fasten the belly pan to the shell around the skirt of the trailer. It's very fun to use. Do a couple of practice runs on some scrap aluminum before going right at it. We felt so accomplished, but still overwhelmed with how much was left! Below are products we used that we recommend! The product below works wonders! Zach applied this coating with a brush easily. And as he was applying all the rust spots converted to a dark black color. What's even better about this product is that there is no need to paint over it with a metal paint. But, Zach did use a black metal paint just in case. Can't be too sure! We definitely recommend this product!